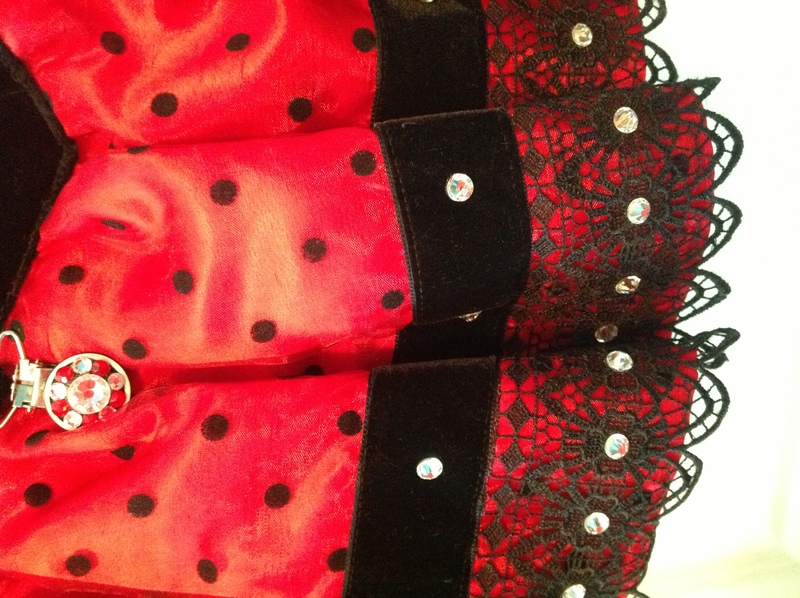 The dress has a black velvet bodice with red polka dots embroidery on the front, back, and black polka dots on the white satin sleeves of the dress. 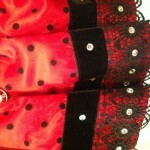 The skirt is red organza with black polka and is fringed in black lace. 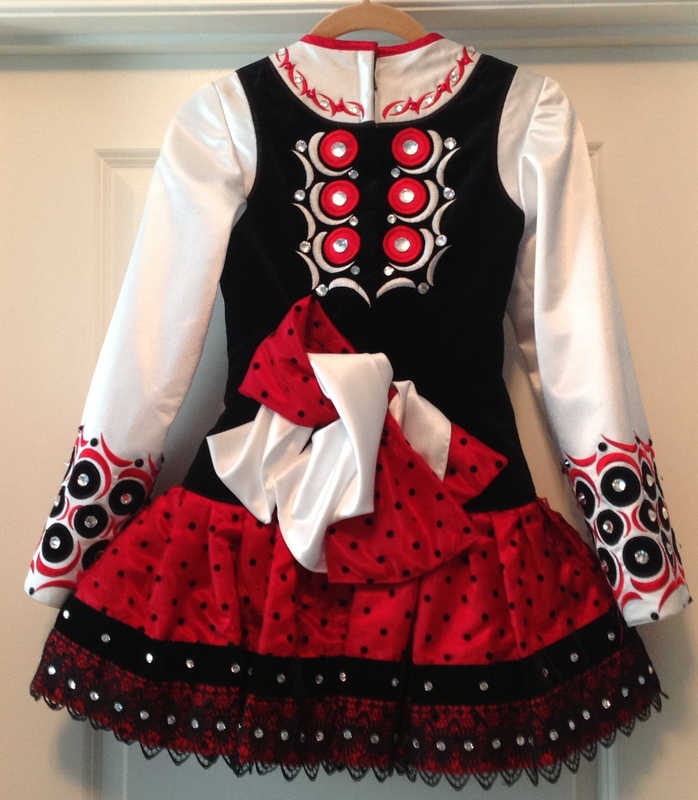 The costume comes with black and white, and red and white polka dot bloomers to complete the look. 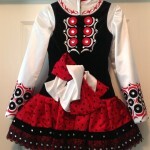 The dress is in excellent condition with no tan marks, and has been stored flat in a smoke free home. 2 inches of let out and down room. 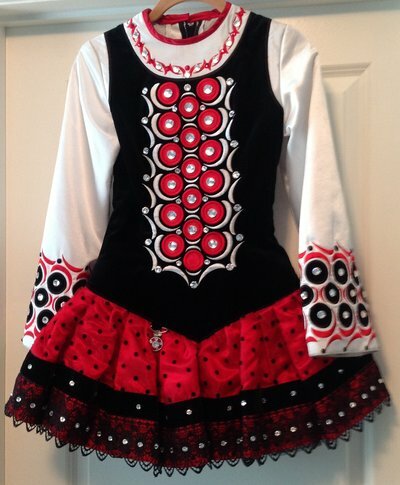 Asking Price: $US750. Shipping costs are not included in the asking price. Returns are negotiable.